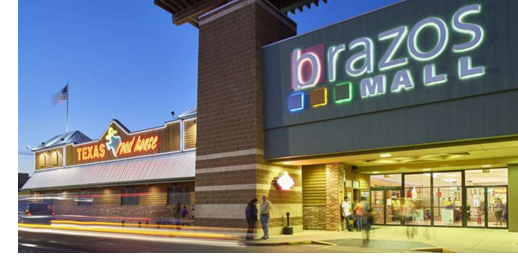 ​​ LAKE JACKSON – The owners of the Lake Jackson Brazos Mall announced plans to pump $25 million into revitalizing and rebranding the 41-year-old property. The improvements will include new retailers as well as cosmetic upgrades, including new floors, seating, lighting and an updated food court. The mall was built in 1976, and is located at the corner of Texas 288 at Oyster Creek Dr.